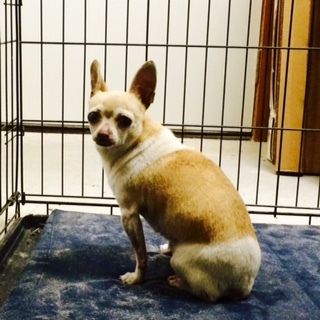 This older female Chihuahua followed my husband and son this evening from County Road 460, and is now in our garage. We think she belongs to someone on County Road 460. She is not very social, but is probably scared. This entry was posted in Lost Pets and tagged Coupland Texas, Found Chihuahua on March 24, 2015 by Stewart Dale Spencer. We have found the owner for the Chihuahua! Thanks for posting that out Spencer! We have found the owner for the Chihuahua! Thank you Spencer and Jennifer Dollins for posting out to everyone! LIttle Maggie has found her home. She returned yesterday.